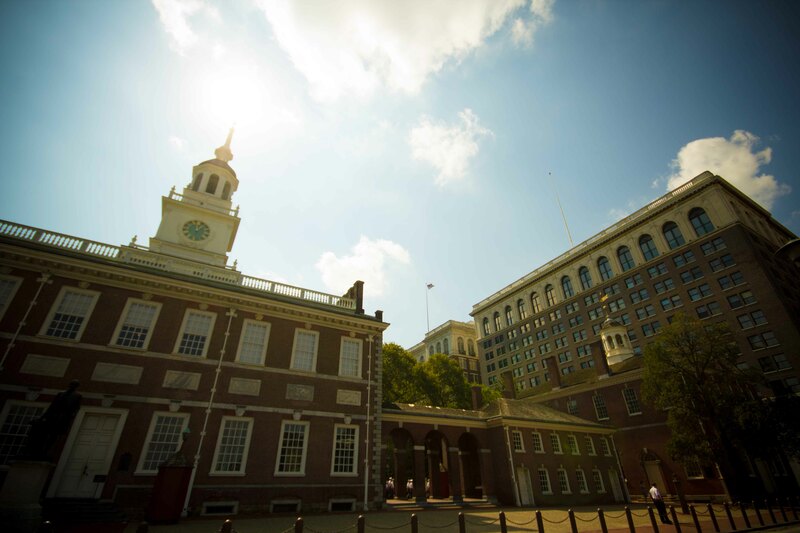 The next stop on our East Coast roadie was Philadelphia. 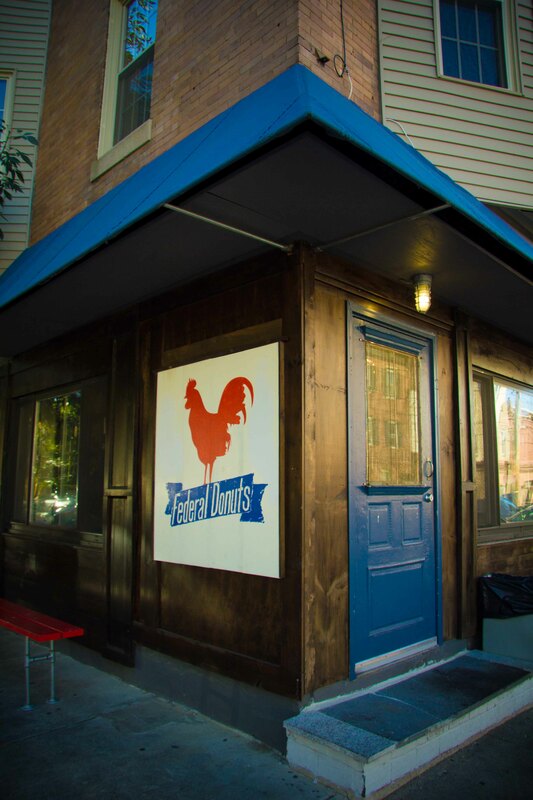 I was armed with an amazing list of places to eat courtesy of my friend Desjardin’s, Uncle Eric. Always excited to get a good recommendation, I was ecstatic when I received this thoughtful list of the high to low ends of Philadelphia eating. Knowing I wouldn’t have enough time to get through the whole list, I wanted to make as large a dent as possible into what looked to be a lot of good eats. 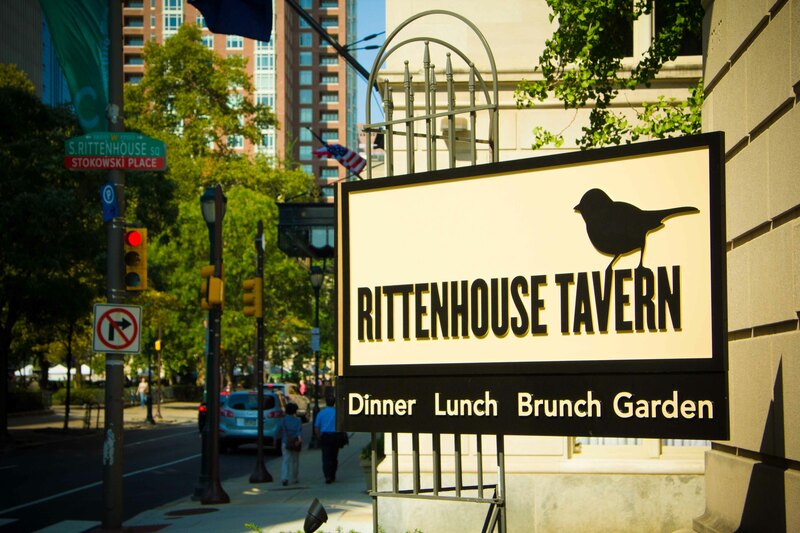 Friday 4:00pm – Check in to the lovely Rittenhouse 1715 boutique hotel. Quaint, charming and a fantastic location. We didn’t have a lot of time to linger in the neighbourhood, but we passed some great looking Parisian-style cafes and Irish-style pubs. 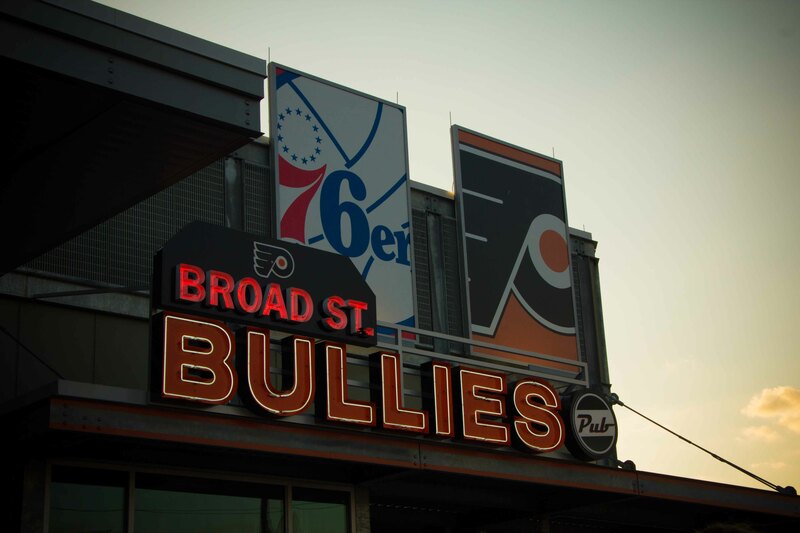 6:00pm – A must stop on my list was at Broad Street Bullies pub at the Xfinity Live. The area surrounding the Xfinity Live houses the stadiums where the Philadelphia Phillies, Flyers, 76ers and Eagles play. Xfinity Live is a the coolest collection of sports bars I’ve ever seen and would be a great place to watch the game. Broad St Bullies was just 1 of many on site. We were told there are 48 beers on tap, unfortunately we only had time for 1 before the game. 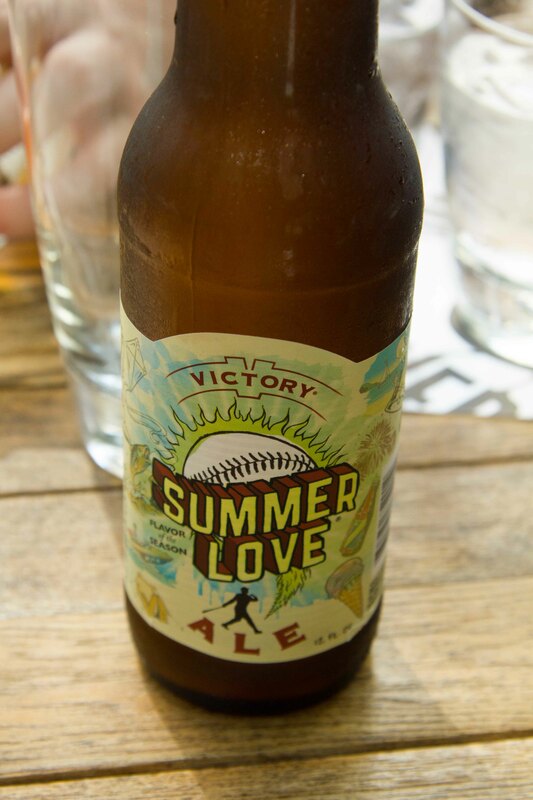 7:00pm – Phillies’ Citizen Bank Park is a beautiful field and we appreciated the energy from the crowd. Food-wise, there looked to be some good choices, but we bee-lined to Ashburn Alley to queue for a cheesesteak as recommended. I noticed another line-up that piqued my interest so while Ben was waiting for our hoagie, I thought I’d do the same at Chickie & Petes. Cheesesteak from Tony Lukes with American Cheese. 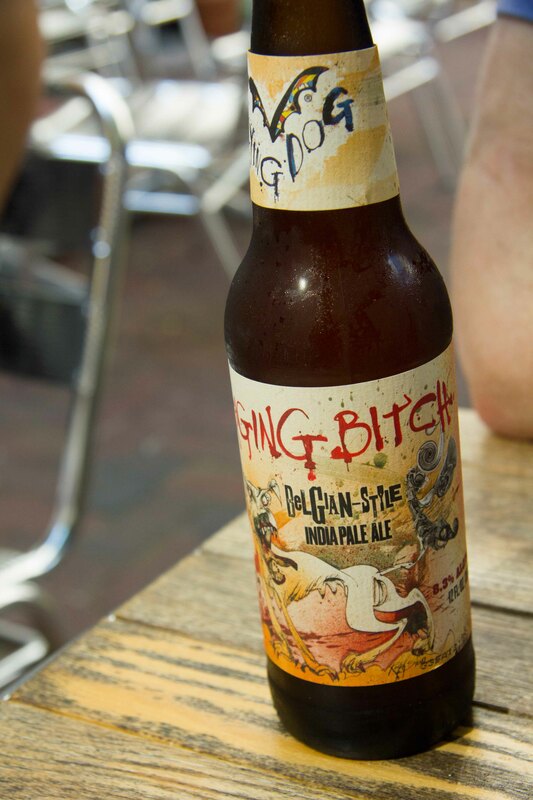 A Philly must! 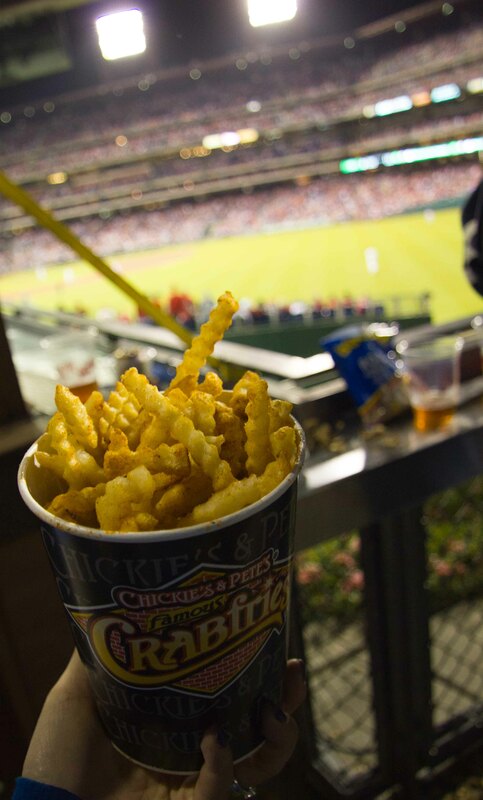 Crab fries are crinkle cut potatoes doused in Old Bay spice. Dipped in cheese sauce, these are a Philly phenomenon that people (including me) are willing to miss 2 innings in a ball game to eat. 10:00pm – Rated “the Top Place in the World to Eat Ice Cream” by National Geographic and located around the corner from our hotel, we stopped at Capogiro to see for ourselves. 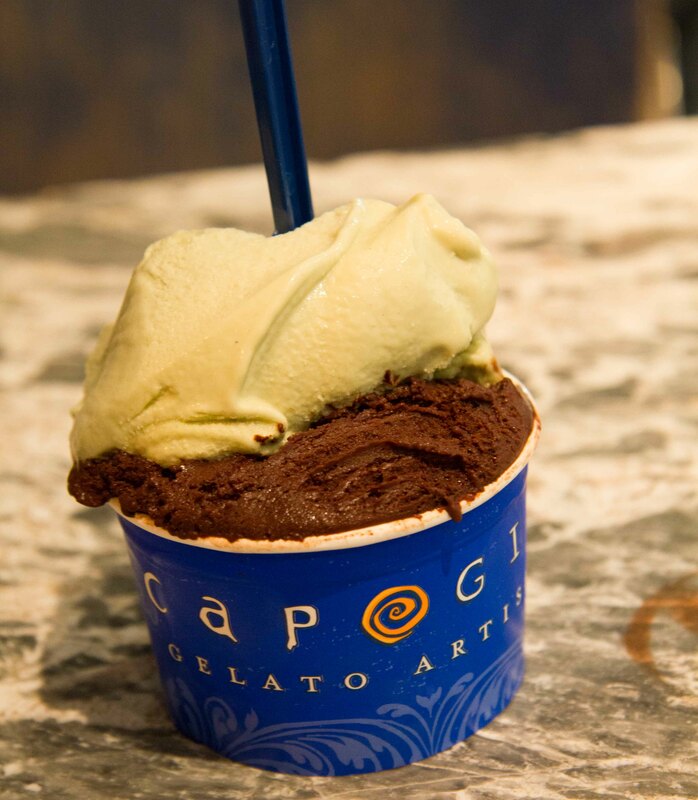 Pistachio and Cioccolato Scuro(rich dark chocolate) – made from Amish grass-fed milk was tasty. Best in the world? I remember gelatos in Florence that would top this for me. 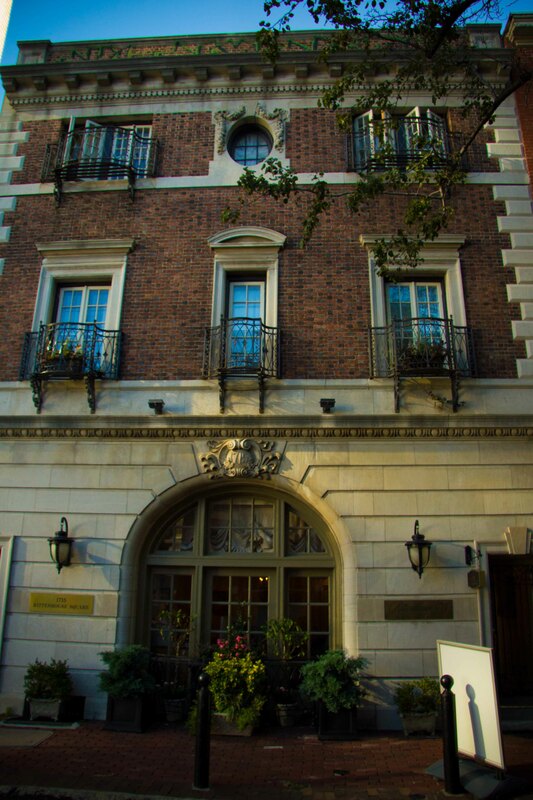 Saturday 8:45am – Another friend sent us a fantastic list of galleries/museums to visit on our roadie. Knowing we’re not typically museum people, she said, “If you only visit one museum, let this be the one”. The Barnes collection is a superb, if not overwhelming, collection of Cezanne, Matisse and Renoir and more. Visiting the Barnes was a wonderful experience. Thanks Dana for recommending it! 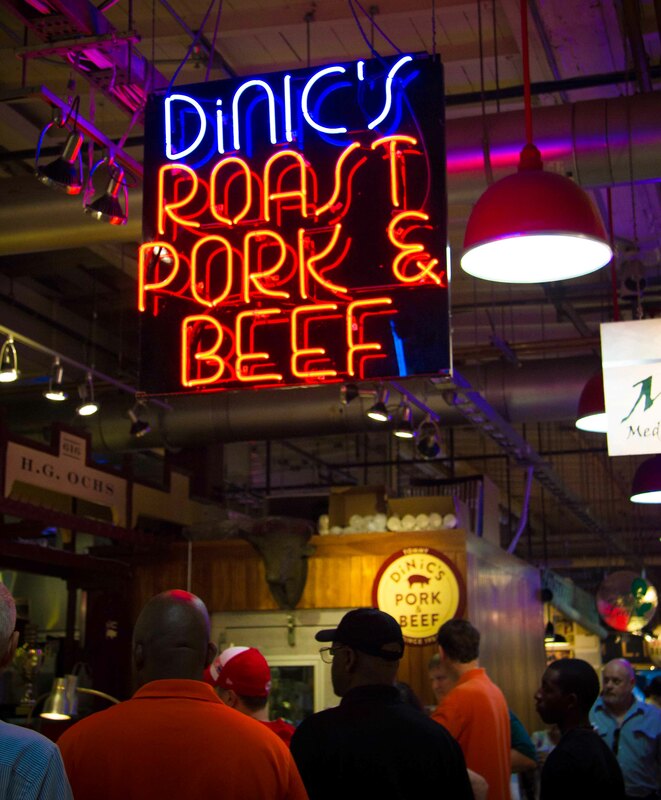 11:00am – Back to eating at the Reading Terminal Market. 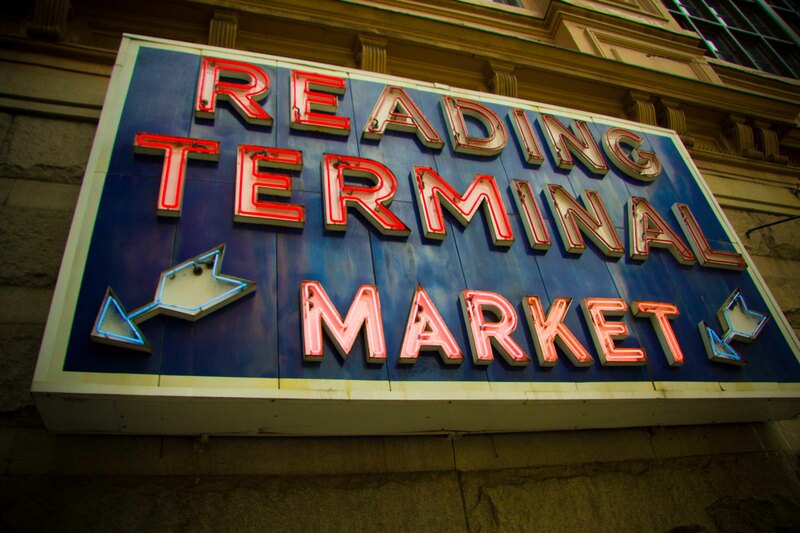 This historic farmer’s market has been around since 1893 and was a 180º turn-around from my Lexington Market experience. 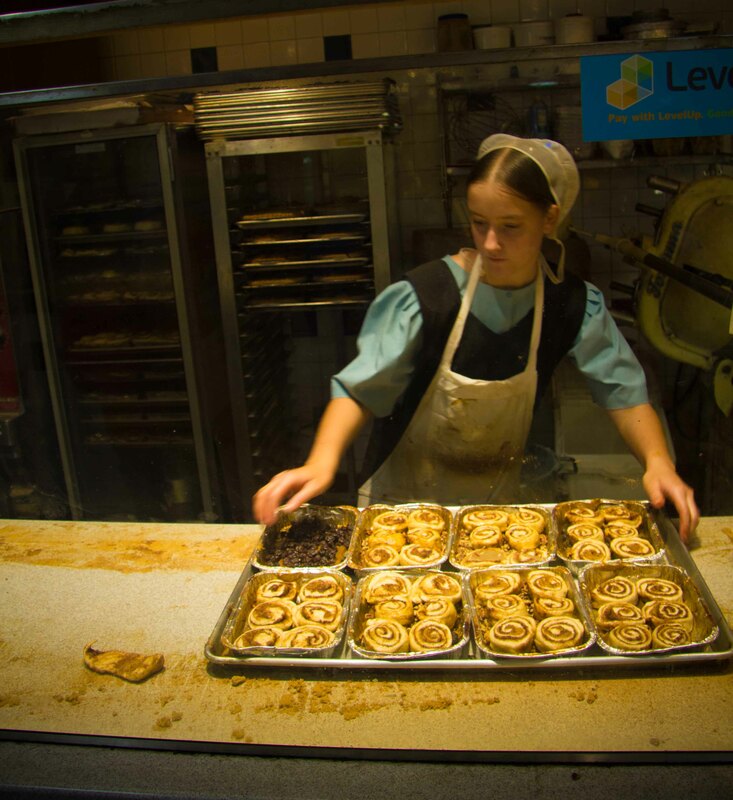 One of the many Amish girls working in the market purveying wonderful goods. 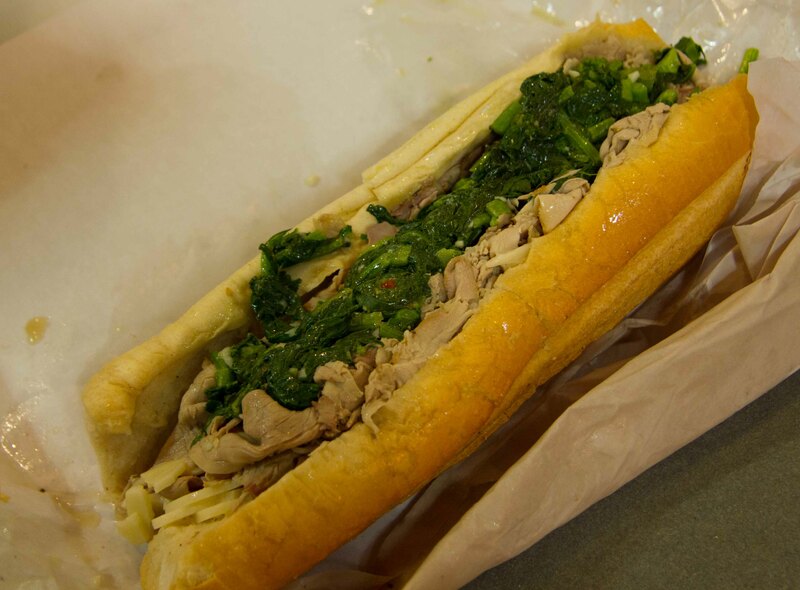 Roast pork with provolone cheese and broccoli rabe. 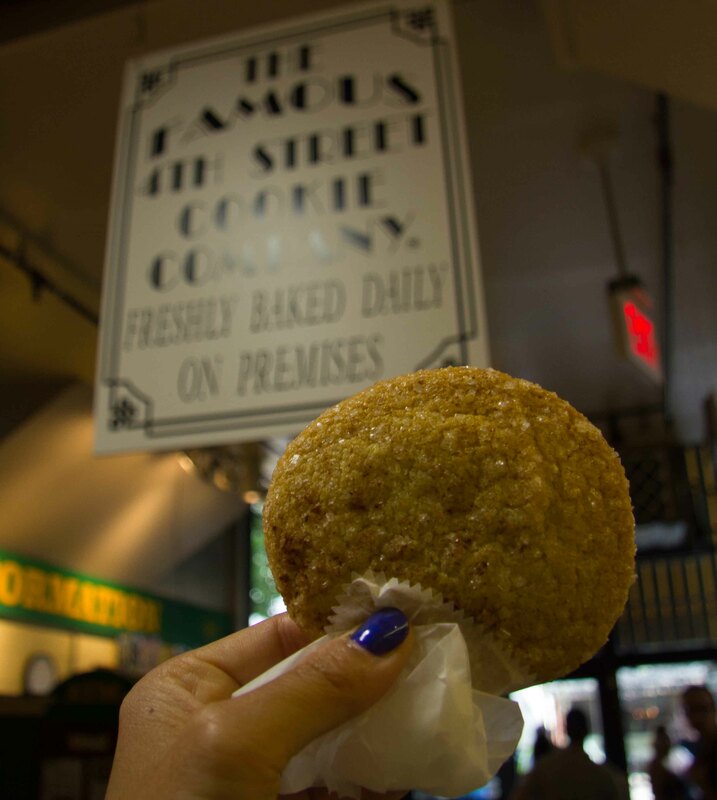 Snickerdoodle from 4th St Cookie Company. 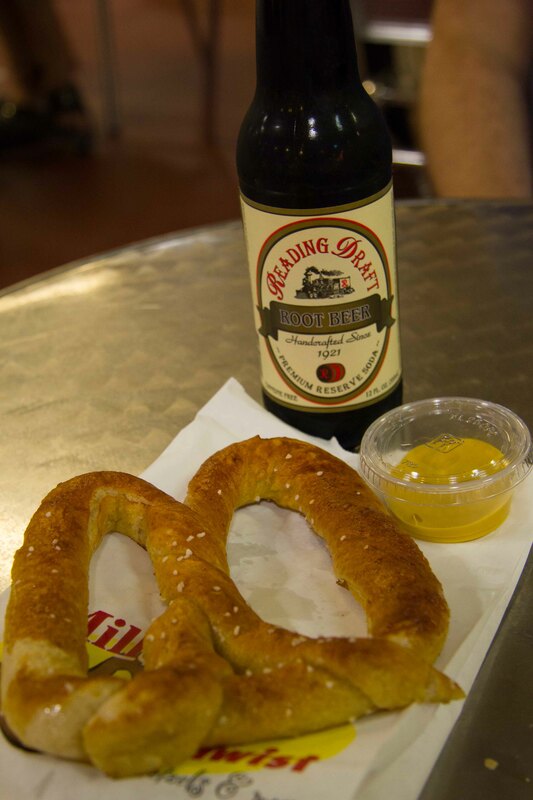 Buttered preztel and Reading’s own root beer. Chocolate whoopie pie from Flying Monkey. 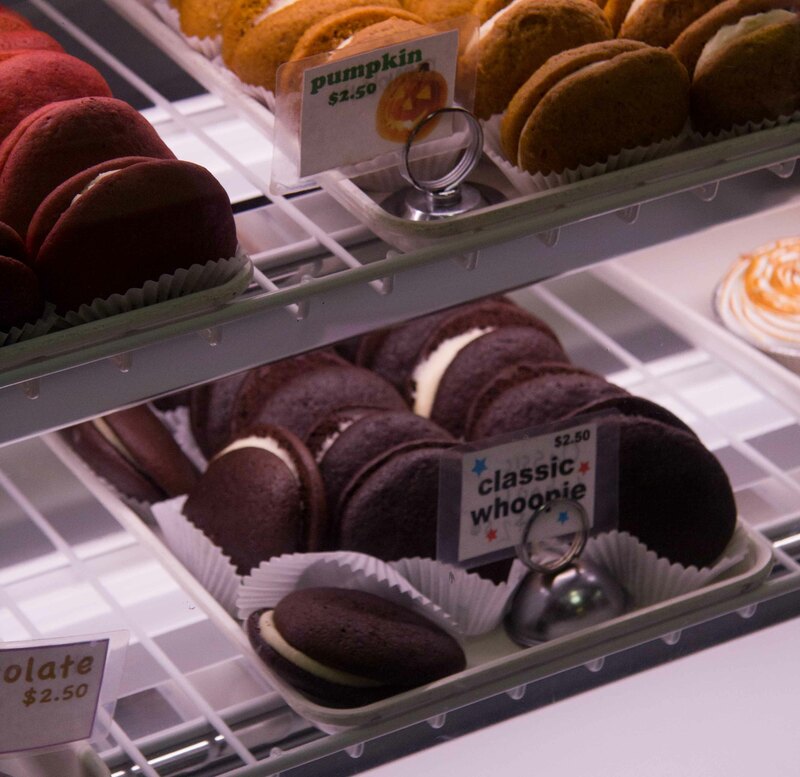 I wish we had whoopie pies at home. I love whoopie. 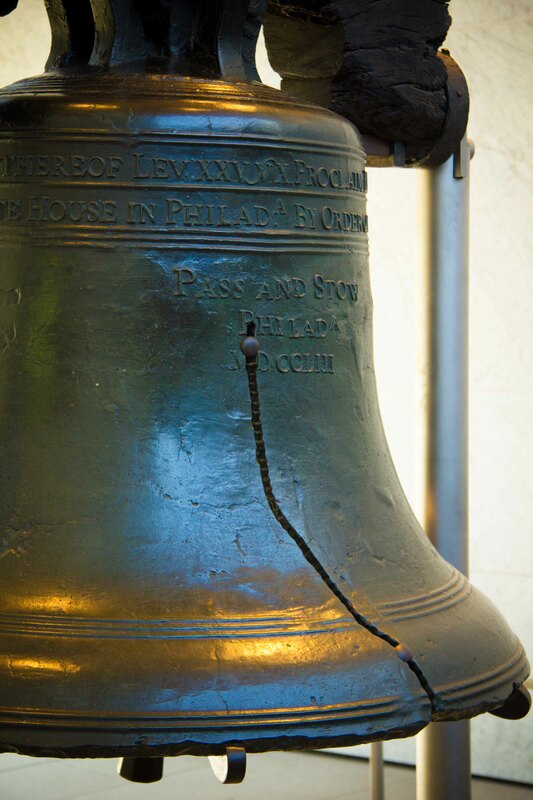 2:00pm – Our history lesson in Philadelphia. 3:30pm – I noticed a cute patio across the street from our hotel. It seemed like a lovely place to sample some New England craft brews before my afternoon nap. 7:00pm – My plan for the evening was that we would watch the sunset from the top of Liberty Place at R2L and then head for dinner at Iron Chef Jose Garces’ Amada. It was a great plan that would have crossed 2 rec’s off Uncle Eric’s list. Unfortunately, Mother Nature had other plans for me as it started to thunder shower. No point in going to a view bar if there is no view to see. A quick change in plans brought us to the packed bar at Amada for a pre-dinner sangria and dinner at one of the most talked about restaurants in town. 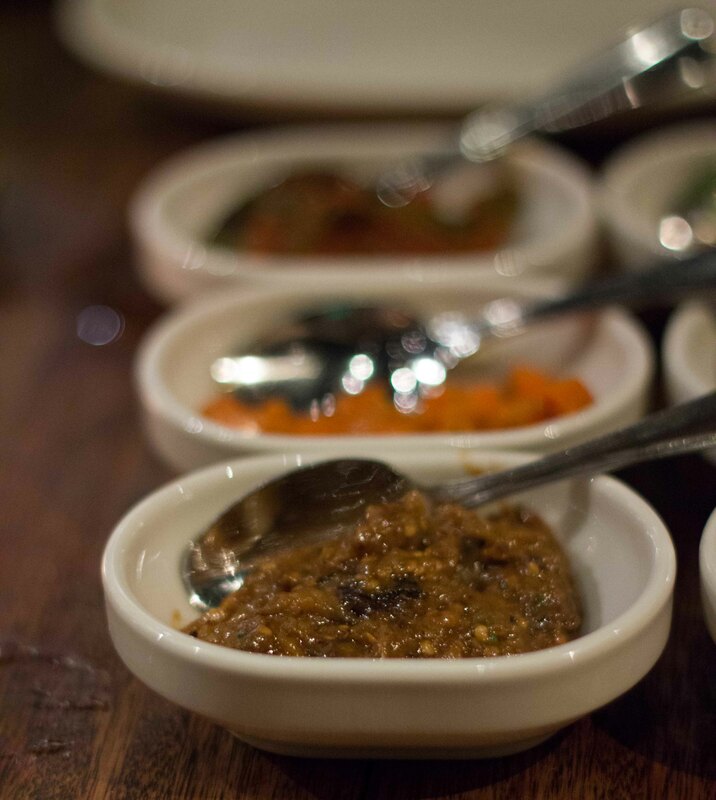 8:30pm – Although I’d made other plans for dinner, I had Zahav in reserve as a “just in case” option. 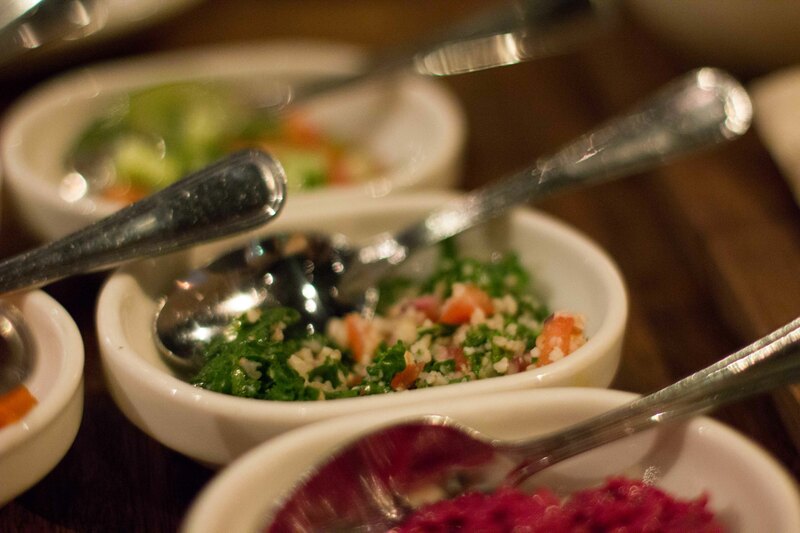 I was never sold on it as my first choice because I couldn’t wrap my head around Israeli food. The menu piqued my interest because it served foods that I don’t regularly see on a menu, and especially not anywhere but more casual places, but “modern Israeli” just didn’t equal “nice night out” to me. I’m happy to say I was totally wrong about Zahav. 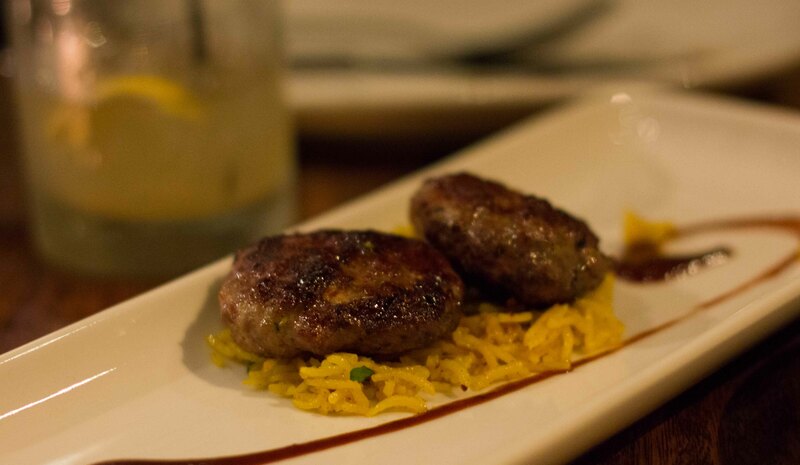 The restaurant is special from the room to the service and above all, the amazing food. 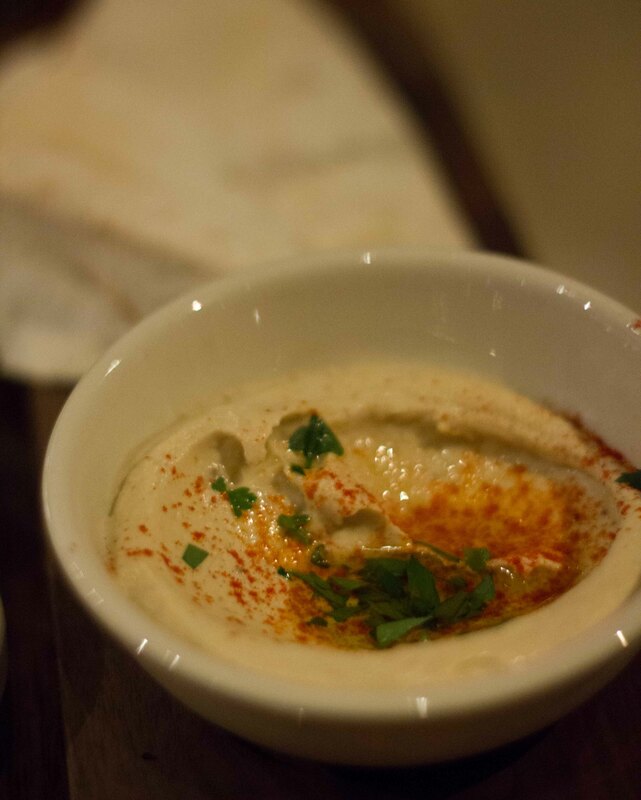 We started with a selection of salatim with hummus and laffa, which was so good I felt like cancelling the rest of the meal and just having another order of this. The small plates of salad were all very unique and all with robust flavours. I wanted to throw my elbow up and shield Ben from getting any of the hummus and laffa because I didn’t want to share. This is the best hummus I’ve ever had. I could have just order 3 more of these and made a whole meal of just hummus. Crispy haloumi (cheese) with figs and apple. We also ordered a fried cauliflower dish and ground meat Kofte in addition to the above. The food at Zahav is delicious and it was the best meal I’ve had all trip. I could have had a complete vegetarian meal and been totally satisfied. Sunday 9:00am – Back on the road again and heading north, but we had one quick stop before we left Philadelphia. 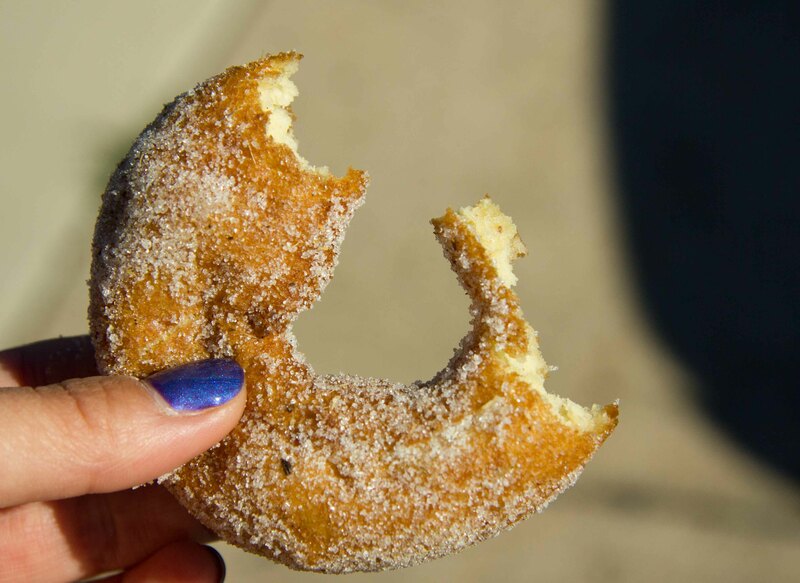 I’d read that the chef Michael Solomonov from Zahav also had a donut shop. As it was on our way out of town, I figured it was worth a stop. Unfortunately we went too early to sample their fried chicken but I was excited to see cake donuts in flavours such as strawberry rhubarb pie and creamsicle on the menu. What left me swooning was their hot fresh vanilla lavender, fried to order. Actually swooning very enthusiastically because their cold-pressed coffee that I sucked back was not only very good, but highly caffeinated. Oh Philly, I never thought you’d be such a great eating city and I only had the chance to knock a few things off the list. I guess I’ll have to return one day!